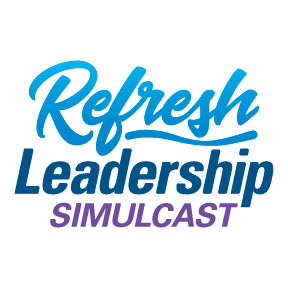 Catch Josh Sundquist at the Refresh Leadership Simulcast on Wednesday, Oct. 24, 2018. When Sundquist was training for the Paralympics, his motto was 1MT1MT (one more thing, one more time). What’s the 1MT1MT you could do today to get closer to becoming the best leader you can be? Leaders come from all walks of life, but the most essential qualities of leadership are universal. That’s the theme behind the ninth annual Refresh Leadership Simulcast. This year’s speakers will share their insight and experience on what makes great leaders. This is an inspirational learning and networking event you won’t want to miss. 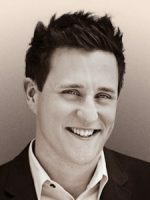 Josh Sundquist is a Paralympian and bestselling author who shares his story at events around the world. His high-energy blend of humor and inspiration motivates audiences to adopt his ski racing motto 1MT1MT (one more thing, one more time) to elevate their performance in sales, customer service, quality improvement, leadership, and more. Josh’s life story is a reminder of how our stories are interconnected, and even our smallest actions and decisions impact the world around us. You’ll walk away from his motivational presentation with a fresh perspective on everything you have to be grateful for, the resolve to overcome whatever challenges you may face, and a commitment to do 1MT1MT to reach your full potential. The Refresh Leadership Simulcast is brought to you by Express Employment Professionals.